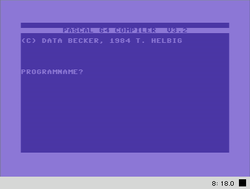 This article is about the programming language Pascal in connection to Commodore computer systems. 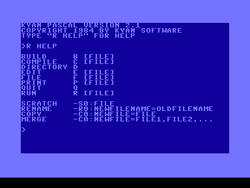 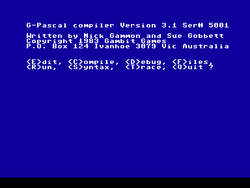 Pascal was written by Niklaus Wirth in 1972 and is easier than the root language ALGOL60. 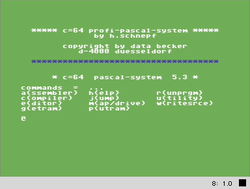 In the 1980s and 1990s Pascal was a favorite learning coding language in school in computer science, informatics or IT. 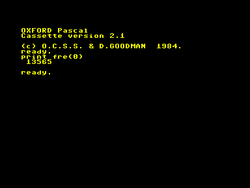 Start screen of "Oxford Oascal"
This page was last modified on 17 June 2017, at 20:50.